Today I'll be discussing skincare. 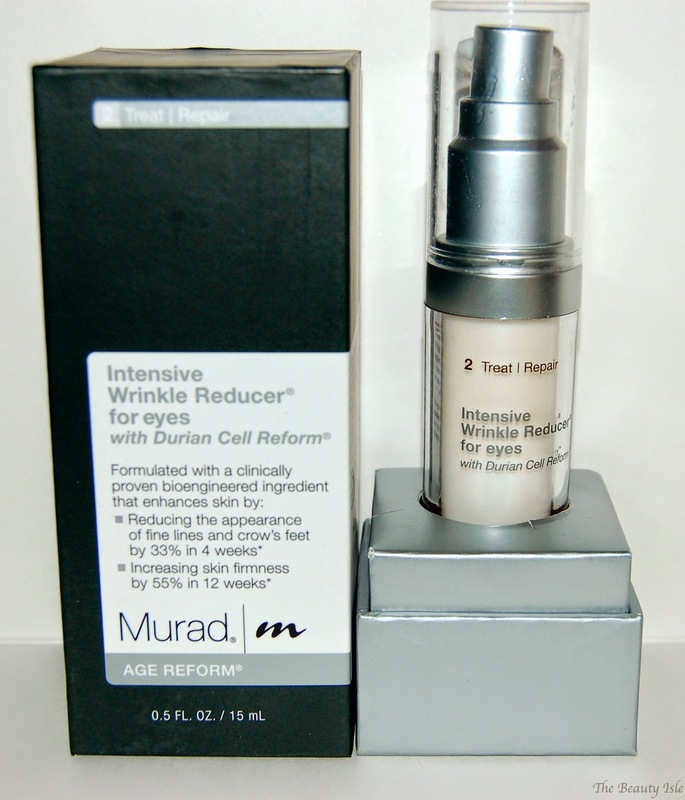 Specifically, an amazing anti-aging eye cream that I was able to try from Murad. Created in 1989, Murad is the country's first doctor-brand of clinical skincare. Everything I've tried from Murad has been amazing and all the products have lived up to their claims. 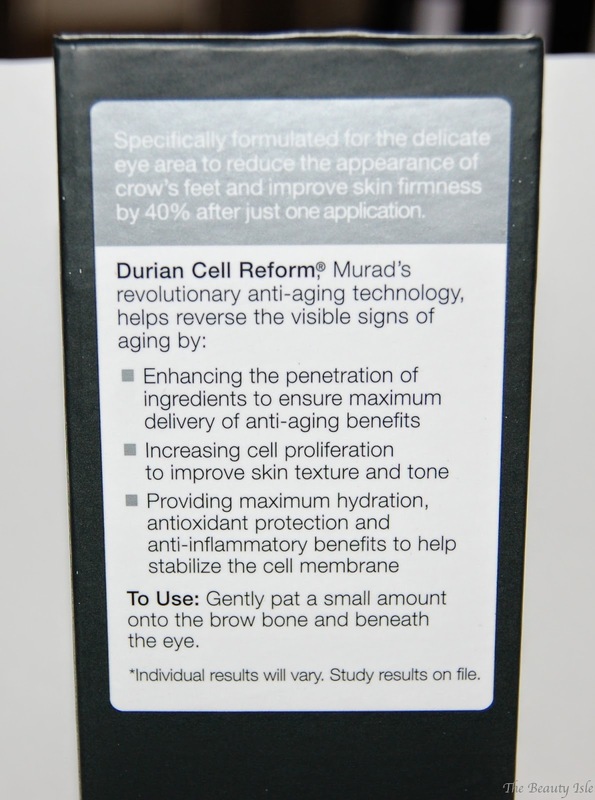 According to Murad, this eye cream "Visibly reduces the severity of crow's feet as it instantly firms and tightens. Reduces the appearance of fine lines and crow's feet by 33% in 4 weeks. 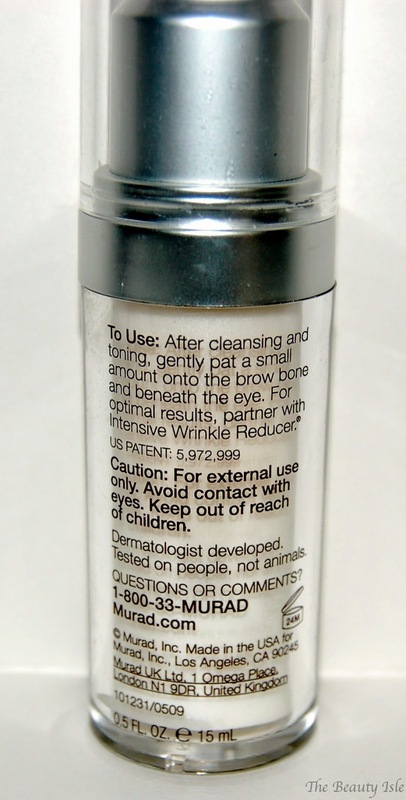 Resurfaces delicate eye area without irritation." This product comes in a plastic bottle with a pump. I appreciate that it's a plastic bottle because I'm always knocking stuff off my bathroom counter! The pump is great too because it eliminates bacteria and germ issues often seen with creams that come in a jar. This eye cream is white and has no scent. One pump is plenty to cover the sides and underneath both eyes. I've been using this eye cream for almost 2 months. I apply it in the morning and evening after cleansing my face. I've found that eye creams that have a lot of "medicinal" ingredients can often be drying but this eye cream provides plenty of moisture. I have no problem applying concealer right on top. I've noticed the texture of the skin under my eyes has really improved, it just seems a little smoother. The fine lines under my eyes and my crow's feet have smoothed out some too. Eye wrinkles are what makes me feel the most self-conscious about being in my 30s. But since I've already noticed an improvement, I'm sure that they will be even less noticeable the longer I use this eye cream. 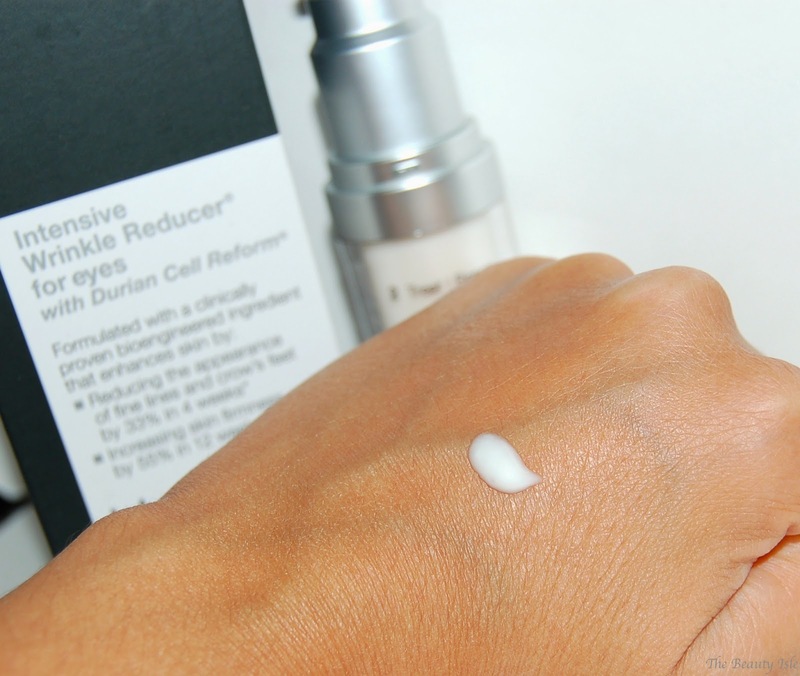 Overall, I love the Murad Intensive Wrinkle Reducer for Eyes! This eye cream sells for $95 and right now Murad is having some great specials. Until the end of August you can get up to 4 free deluxe gifts with your purchase and free shipping over $50! p.s. Something super exciting happened this past weekend, Murad featured me on their blog page! If you haven't already seen it (I may have mentioned it once or twice on my social media accounts) here it is: Meet the Expert: El, Blogger from The Beauty Isle ! Have you tried any Murad products? What is your favorite?